Now it’s possible to use your Hunter Douglas devices along with FIBARO Home Center. Import and use your scenes in FIBARO Home Center. Hunter Douglas device connected to the same local network. Select Douglas Hunter from the list or search for it in the search bar. Click to add a new Hunter Douglas device. 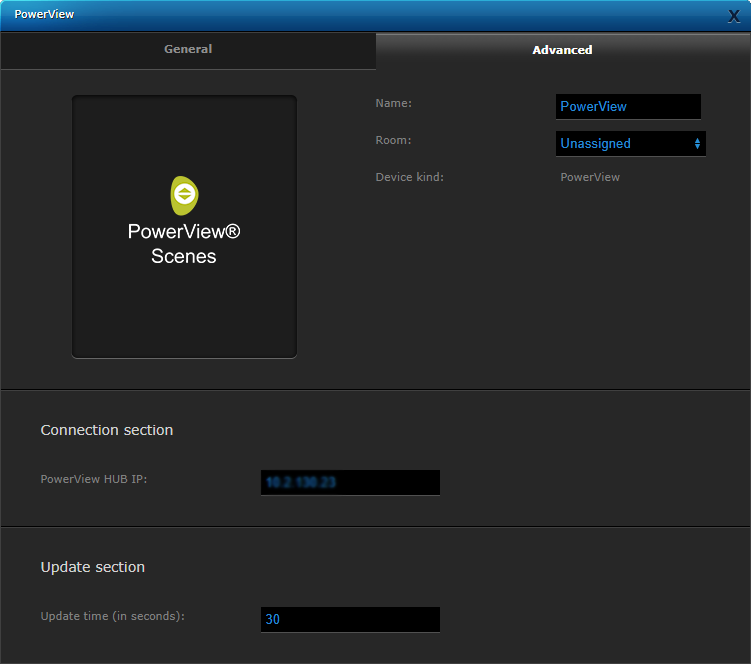 Go to Advanced and provide your PowerView Hub IP address. Tip: If you can’t find an IP address, you can try a mobile app to that e.g. Fing. Scenes are automatically imported from the Hunter Douglas device and visible in the General settings. You can also see every scene imported from Hunter Douglas as a separate device in Devices section. Caution! The name of the scene is imported from Hunter Douglas integration and cannot be changed.